The U.S. investor visa (EB-5) is overseen by United States Citizenship and Immigration Services (USCIS) under the EB-5 Immigrant Investor Program. An EB-5 visa is an employment-based fifth preference visa. To obtain a U.S. investor visa, a foreign entrepreneur or investor must meet specific requirements, such as investing $500,000 or $1 million (depending upon location) into a U.S. business. Additionally, the EB-5 investment must preserve or create a minimum of 10 full-time positions for workers in the United States who qualify. This creation, or preservation, of jobs must occur before the investor files their I-526, or it must be proven, via a business plan, that the jobs will be created within the investor's two year conditional permanent residency period. The jobs must be maintained throughout the two year conditional permanent residency period, until the filing of the I-829 to remove conditions. 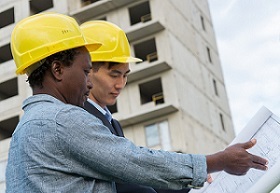 Jobs created in EB-5 projects are defined as direct, indirect or induced. In some instances, the EB-5 visa applicant may have to prove that the EB-5 capital resulted in the actualization of direct jobs of employees working directly in the business in which the investment was made. EB-5 Regional Centers were created under the Immigrant Investor Pilot Program in 1992. A regional center is an economic unit that is allowed by USCIS to count both direct and indirect jobs towards the job creation requirements under the EB-5 program. A regional center may be a private or public entity that improves the productivity of a region, promotes economic growth, increases domestic capital investment and increases job creation. Regional centers must be designated by USCIS. USCIS has specific criteria for regional center designation, such the demonstration, through economic models, of how the EB-5 capital will create jobs, and a proposal of how the regional center will positively impact the region or the U.S. economy. One of the benefits of investing through an EB-5 Regional Center is the ability to count indirect and induced jobs, as well as direct jobs, towards the job creation requirements for an EB-5 investment. On the other hand, EB-5 investment into commercial entities other than regional centers must create 10 full-time direct jobs within the business that received the investment. A direct job is an identifiable and actual position for qualified U.S. workers and employees. These jobs are formed in the business in which the foreign entrepreneur invested EB-5 capital per the program's requirements. Each position must be fulltime; this means that the position provides at least 35 work hours each week to an employee at the business in which the investment was made. An alternative to a full-time position includes a job-sharing option. In a job-sharing arrangement, employees who qualify may divide the hours of a single fulltime position among themselves. In this instance, the same amount of hours that would normally be worked by a fulltime employee must be split among the individuals in the job-sharing agreement. Part-time positions, even if together they equal the same amount of hours as a full-time position, may not be combined to meet these requirements. Indirect jobs are actualized in businesses and commercial enterprises that are associated or affiliated with an EB-5 Regional Center. These jobs are still shown to have been created due to the capital invested by the immigrant investor. USCIS will only allow indirect jobs to be counted in cases of EB-5 investment through USCIS- designated regional centers. Indirect jobs are typically created within businesses that supply services or goods to the EB-5 project in question. Induced jobs are those that are created in the community in which the regional center is located. The increase in spending by workers involved in EB-5 projects in the community is attributed with the creation of induced jobs. USCIS defines a qualified employee as an individual who has work authorization in the United States. A qualified employee can be a citizen of the United States or a permanent resident. Qualified employees may include persons under suspension of deportation and who are currently living in the United States, conditional residents, refugees and asylees. Individuals who do not quality as employees for the purpose of counting jobs created by the EB-5 investment include: individuals who do not have authorization to work in the United States, the foreign entrepreneur applying for an EB-5 visa, the foreign investor’s family (including spouse and children) and foreign nationals living in the United States with a non-immigrant status (including H-1B). USCIS notes that EB-5 applicants may only count preserved jobs within a troubled business. A troubled business is defined as an enterprise that has experienced a net loss and has existed for a minimum period of two years. The net loss must have occurred during the 12 to 24 month period of time before the priority date on the EB-5 applicant’s I-526 petition. Additionally, the loss must equal a minimum of 20 percent of the enterprise’s value before the loss occurred. For more on this topic, see A Reasonable Explanation by Zachary Rodriguez.